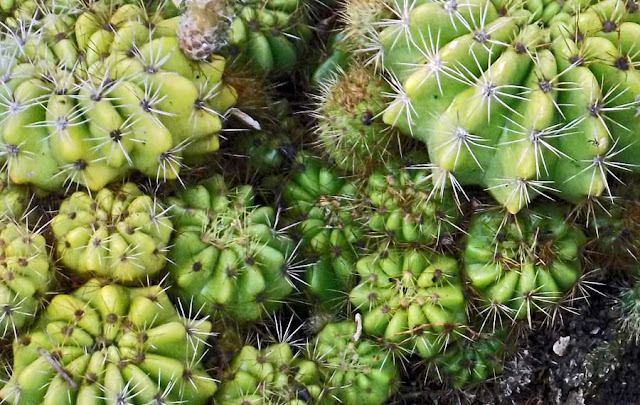 Photographs of two different types of cactuses. The first one is the green spiky variety and the scond is a dull green with red edges. In this one the thorns are long and white, like spikes. Impossible to touch. 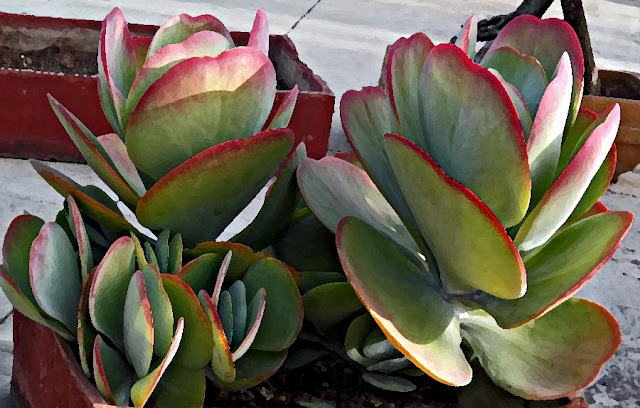 These green and rose-colored cactus leaves are thick, but there are no thorns or spikes. This photo has been altered a little to give it a different texture but it is true to the original in the sense that colours are authentic. The original photo is with me. High resolution photographs of these are available.